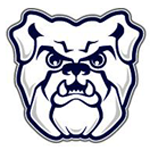 The New Castle native had recently taken over for Brad Stevens as Butler’s head coach when we met in his office at Hinkle Fieldhouse – the same office where I had recorded two shows with Stevens. It turned out he lasted just one season before he resigned under mysterious circumstances, but his story up to that point was worthy. He’s virtually disappeared since then, and no explanation has been given for his sudden departure. His one season didn’t go well. Butler finished 14-17 overall and 4-14 in its first season in the Big East Conference, but it’s difficult to say whether Miller’s team underachieved. He didn’t have much talent to work with, really, his best player, Roosevelt Jones sat out the season with an injury, and the program was adjusting to a new conference. 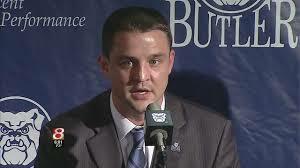 He probably deserves some credit for bringing in Chris Holtmann as an assistant coach. Holtmann is now the head coach, and looks like the right one. And, Miller will always have his outstanding playing career. His intense nature as a player comes through in this conversation, and perhaps that was a factor in his coaching fate.